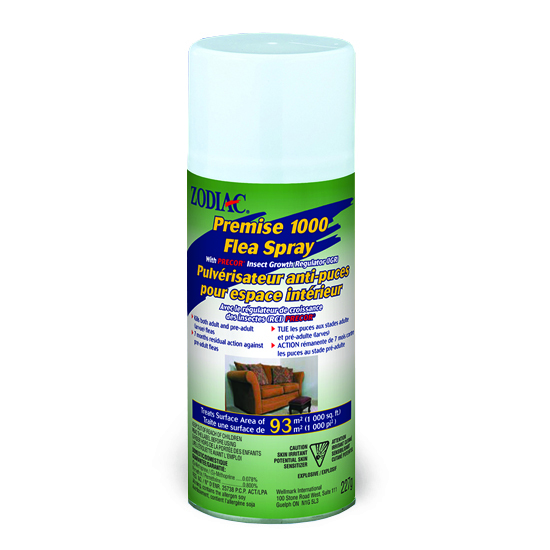 By using Zodiac® Premise 1000/2000 or Zodiac® Premise Plus flea sprays, you will kill adult fleas, flea larvae, eggs and ticks hidden in carpets, cracks, crevices, upholstery, furniture, pet bedding and other areas. 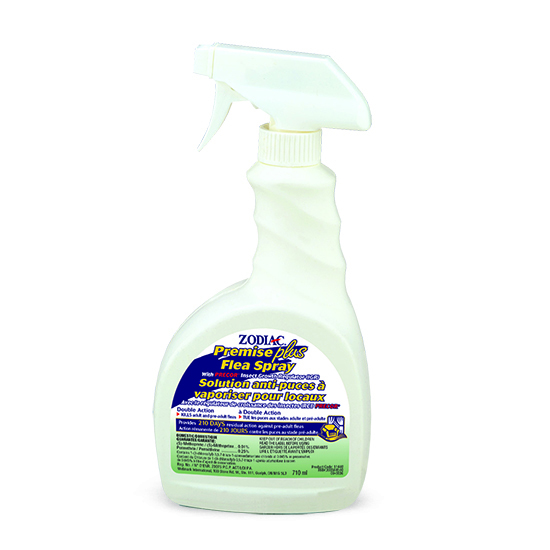 Can be used in conjunction with any on-animal products. Do not treat pets with these products. 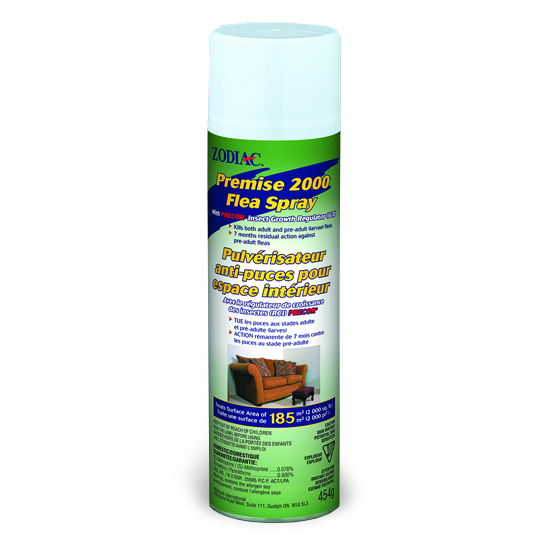 Premise Plus: (S)-Methoprene 0.01%/Permethrin 0.25%. Contains 1-(3-chloroallyl)-3,5,7-triaza-1-azoniaadamantane chloride at 0.045% as preservative.